In a throwback to the time before Amazon, Macy’s and Bloomingdale’s will be opening huge stores at the future Miami Worldcenter, the enormous mixed-use development planned for the Park West enclave, across from AmericanAirlines Arena. Macy’s will occupy 195,000 square feet, while Bloomy’s will take up 120,000 square feet. The department stores will anchor three stories of retail, which comprise an additional 425,000 square feet, according to the Miami Herald. Regional shopping center developers the Forbes Company and Taubman Centers Inc. are jointly acquiring 10 acres of Miami Worldcenter Associate’s 27-acre spread to build out the stores. 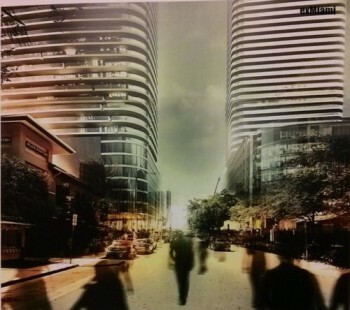 The unimaginatively named The Mall at Miami Worldcenter is expected to begin construction in 2014. Mario Batali’s Italian-themed food market Eataly is one of the first stores to sign for retail space at Swire Properties’ $1.05 billion Brickell CityCentre site in Miami, exMiami reported, citing unnamed sources. 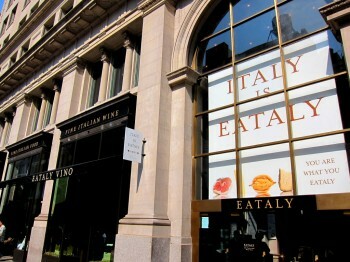 Eataly has a 50,000-square-foot space – including a rooftop garden and restaurant – in the Flatiron District in Manhattan, and is opening a 60,000-square-foot spot in Chicago this month. Brickell CityCentre will include retail space and Class A office space, as well as condominiums, a hotel, and a lounge at the site, currently home to the Northern Trust Bank tower. There will also be an 80-story mixed-use tower. The Related Group plans to build a three-tower mixed-use project at the waterfront Brickell site it is about to acquire. Related is scheduled to close on the purchase of 444 Brickell Avenue next Monday for an undisclosed price, the company announced. Previous reports indicated the company had a contract to buy the four-acre site for about $100 million. It intends to develop One Brickell on the two properties. Plans for One Brickell include 1,200 residential units, a five-star hotel with about 200 rooms and convention space and at least 200,000 square feet of office and retail space. Two prominent architectural firms, Miami-based Arquitectonica and Pelli Clarke Pelli of Connecticut, have been hired to design the towers and commons areas. The 80, 70 and 55-story buildings would total more than four million square feet. Construction at Brickell Citycentre has just barely left the ground (they’ve been working on the underground bits and pieces for a year) and the megaproject already has nine massive cranes up and running. The first portion to go vertical, a section of the lower-level mall along 8th street, is already six stories high, the second through the fourth being very tall (probably “mall height”) floors. To the north, the foundations look to still be getting dug, and to the east, a bayfront lot that isn’t part of the project (at one point the site of the hoped for “Brickell Green Space) is being used as a staging area. After two years of battles between Walmart and local civic activists, the City of Miami has taken everyone by surprise and abruptly approved (Hat tip: Miami New Times) Walmart’s latest plans for a 156,000 square foot store in Midtown. Despite plans which were just recently characterized by an architectural advisory panel as obvious violations of the zoning code, with one panel member even saying “I feel like a violin and I’m being played” those plans, well yeah, were somehow approved yesterday by city planning director Francisco Garcia. Meanwhile Walmart’s opponents plan to appeal the decision and stop the store from being issued building permits. 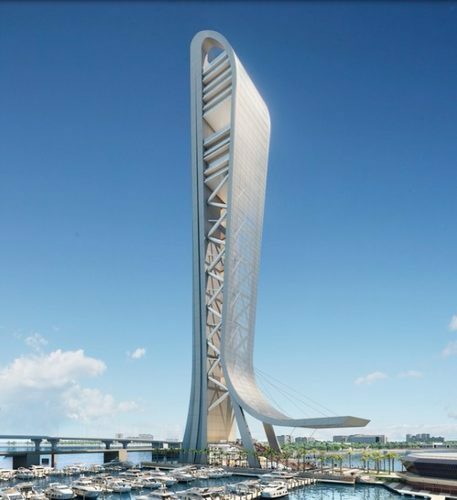 A prominent Miami developer is getting ready to unveil a proposal for a colossal bayfront observation tower and vertical — not to say vertigo-inducing — amusement center in downtown Miami that he believes will become the city’s analogue to the Eiffel Tower. The SkyRise Miami tower would thrust up 1,000 feet on a spit of land behind Bayside Marketplace, making it — at least for a time — the tallest structure in the city. The Miami Worldcenter team has landed flagship retail tenants for its massive downtown Miami project. Macy’s and upscale sister department store chain Bloomingdale’s have signed leases to open stores once the 750,000-square-foot retail component of Worldcenter is completed, industry sources said. The Worldcenter principals and retailers plan to announce the transaction within the next few weeks. Securing leases with Macy’s and Bloomingdale’s is a major coup for Worldcenter. 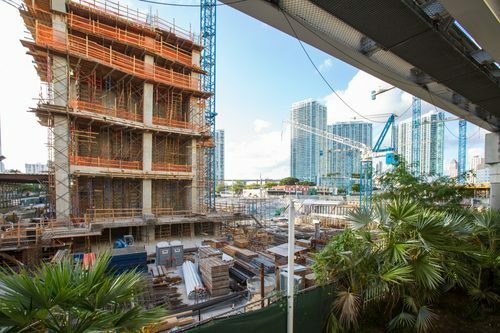 The project site is located between the transformative Brickell CityCentre development under construction in Miami’s financial district and Midtown Miami. CityCentre developer Swire Properties has formed a partnership with the Whitman family, which built and owns the Bal Harbour Shops, for the retail component of that $1.1 billion project. No retail tenants have been announced by the partnership.